Unique-Happy Birthday Printed Balloons with Confetti. The perfect way to dress up a birthday party and make a celebration to remember! Young or old, every party should include balloons! 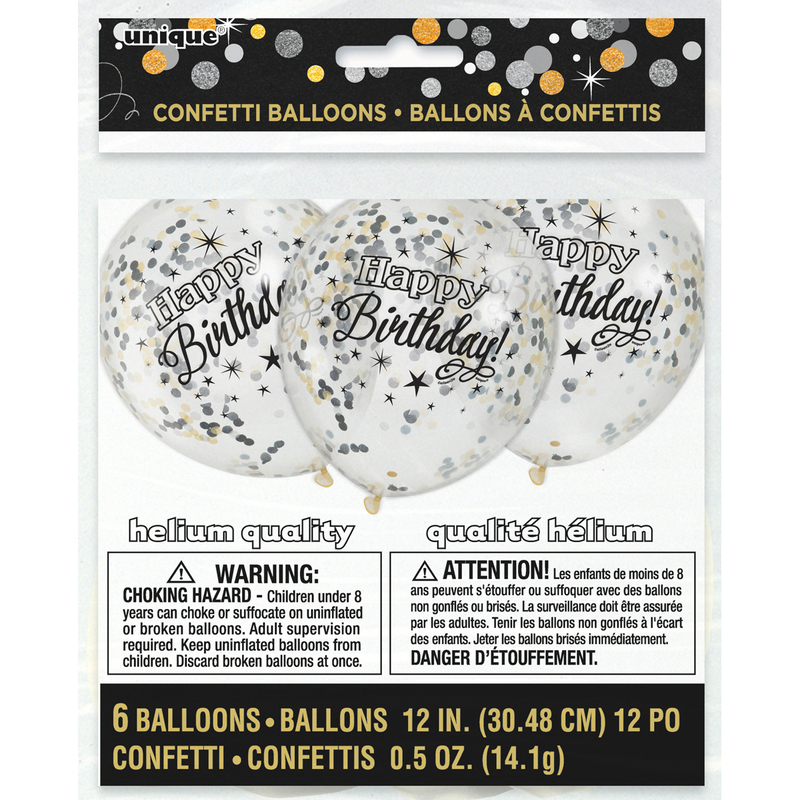 This 5.5x6.75 inch package contains six helium quality, round 12 inch balloons, a funnel and bag of confetti. Biodegradable latex. WARNING: Choking Hazard. Not suitable for children under eight without supervision. Keep uninflated balloons away from children, discard broken balloons at once. Imported.